Welcome to Ruma rua tekau ma rima: Being SUPER organised!!! We have just completed our first 2 weeks of Term 3 and lots of students are demonstrating their ability to be an ORGANISED learner. 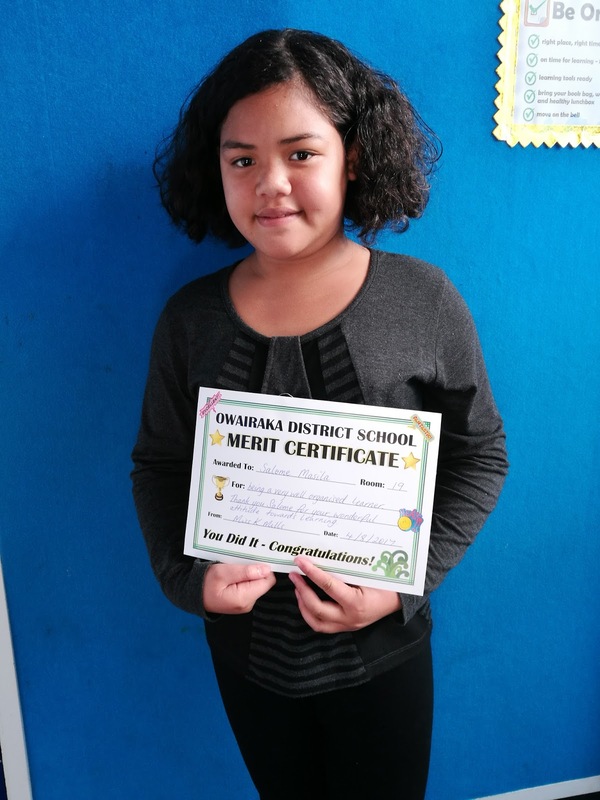 There was one SUPER ORGANISED member of Room 19 who truly deserves this weeks Merit Award. She is so ORGANISED that she helps me to be ORGANISED. Thanks Salome for being a very well organised learner in our room.